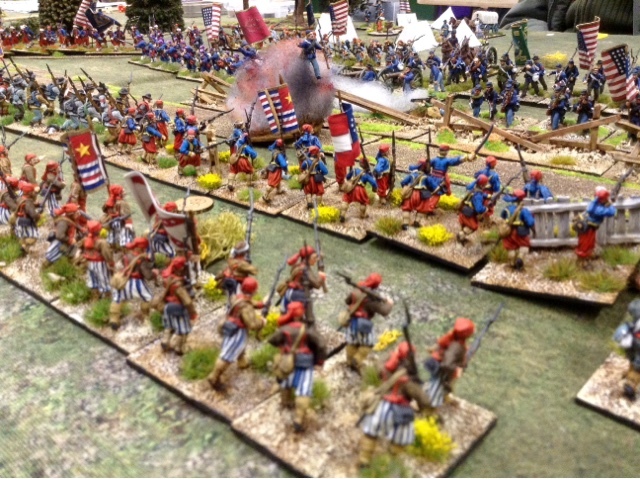 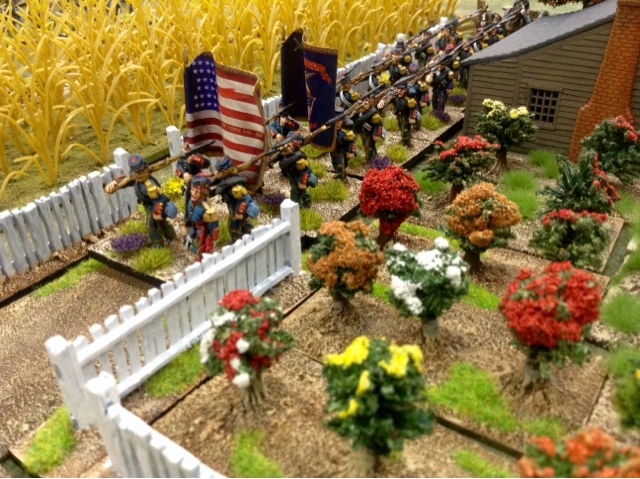 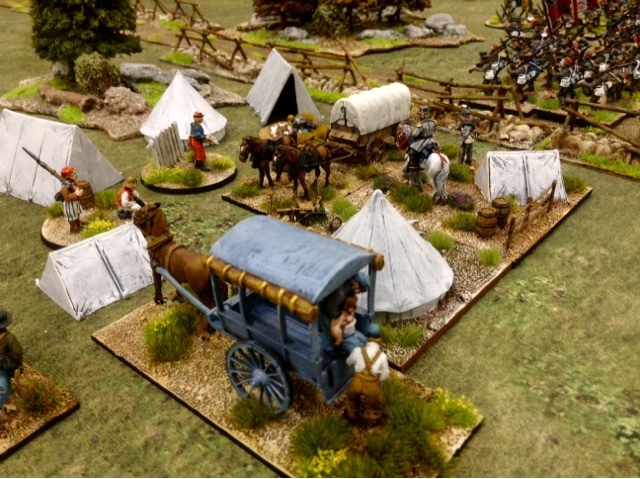 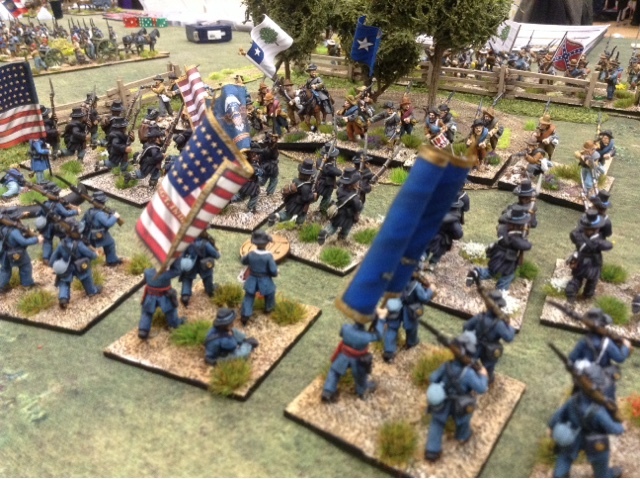 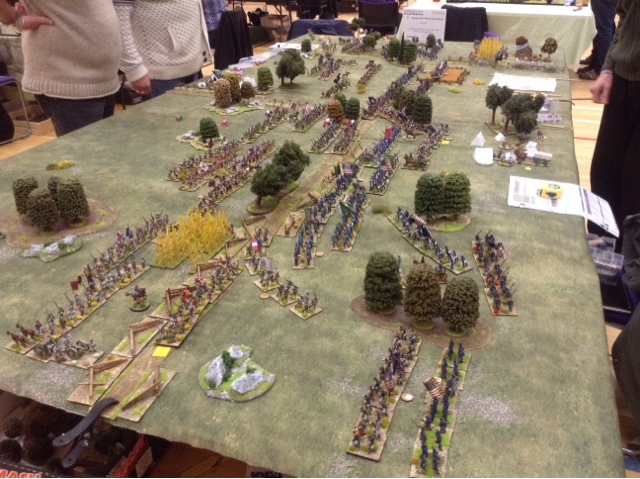 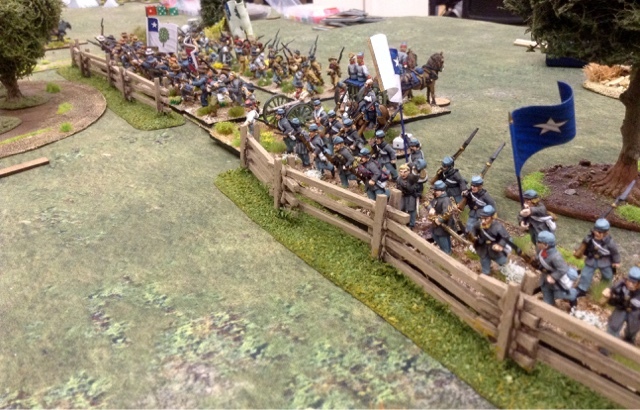 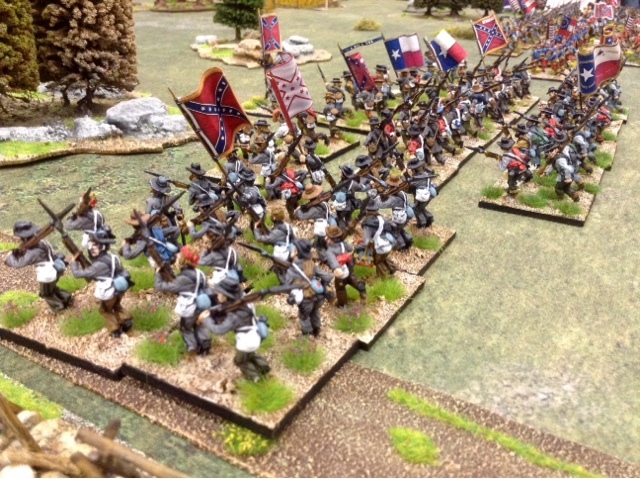 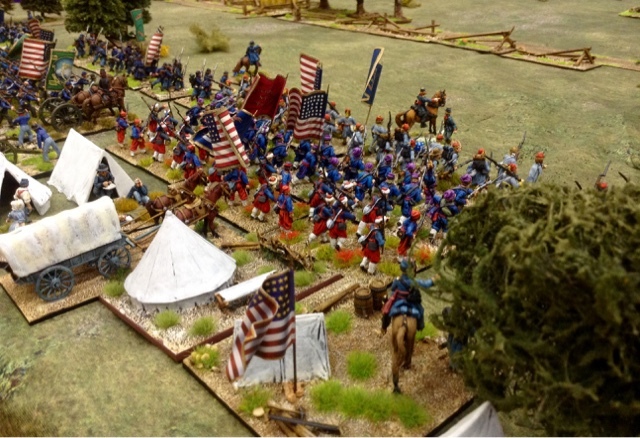 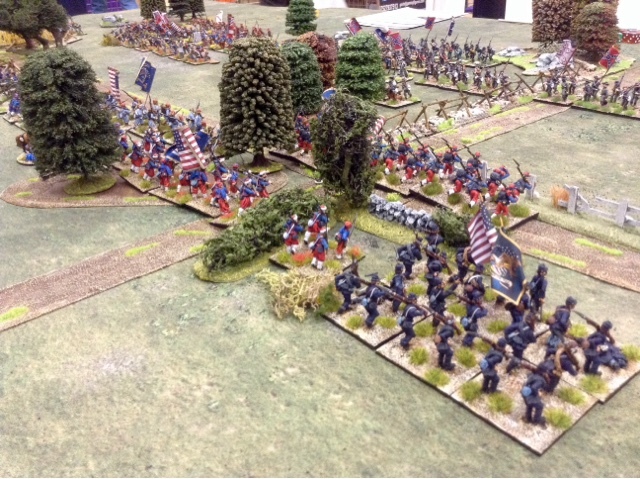 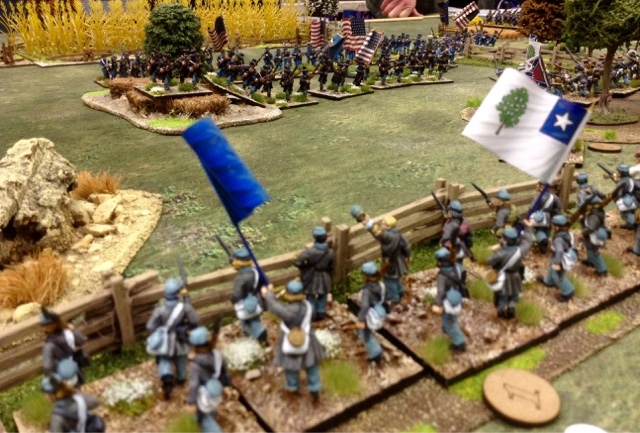 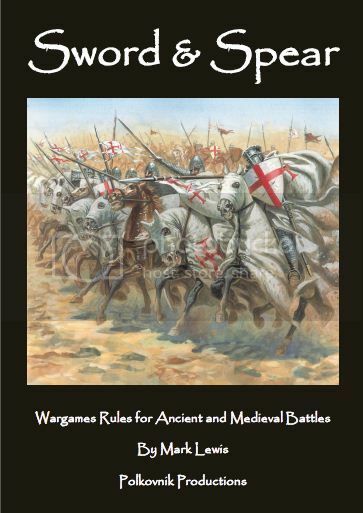 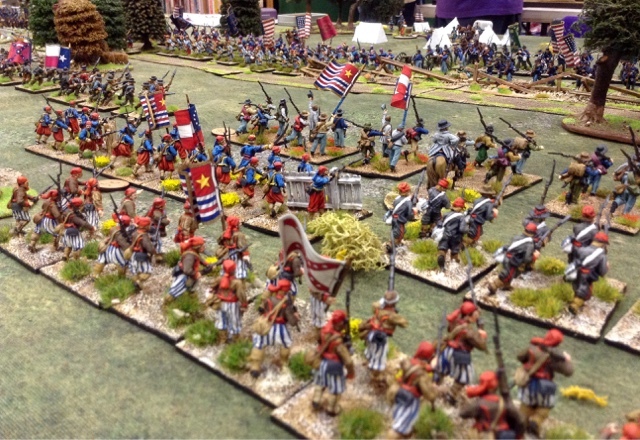 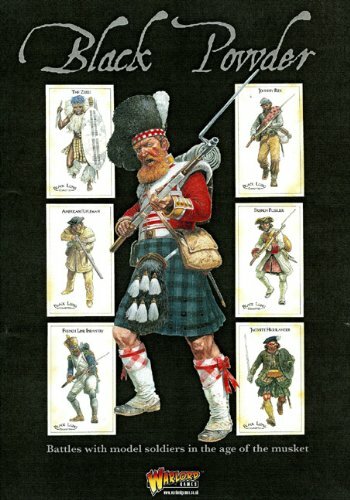 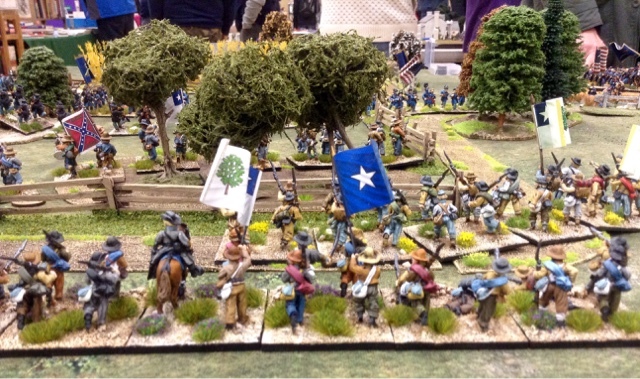 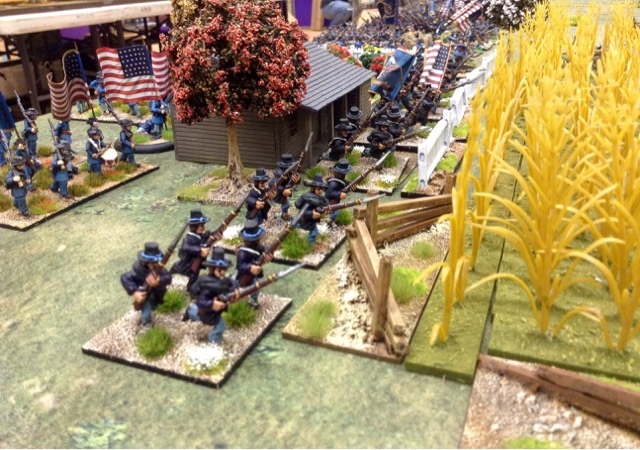 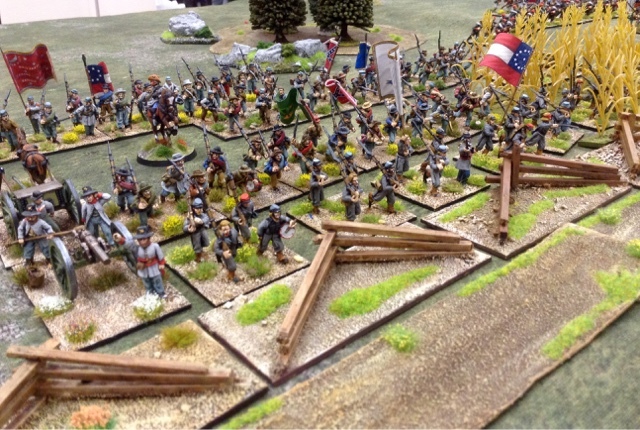 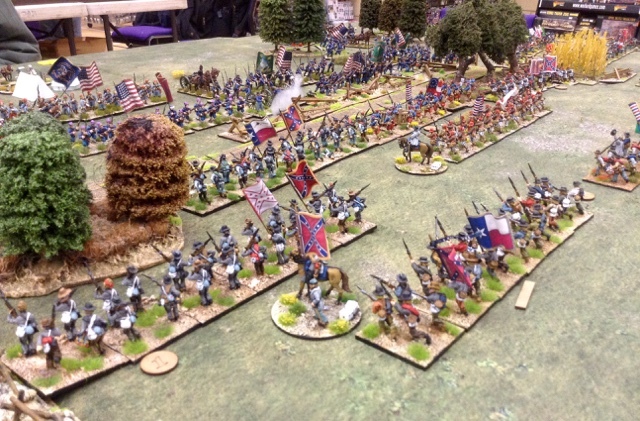 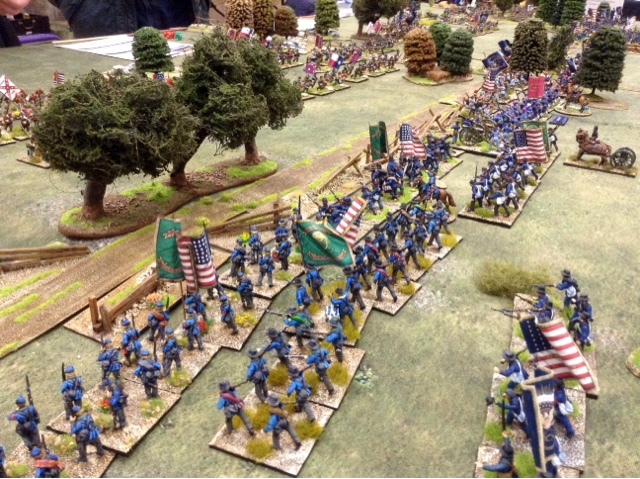 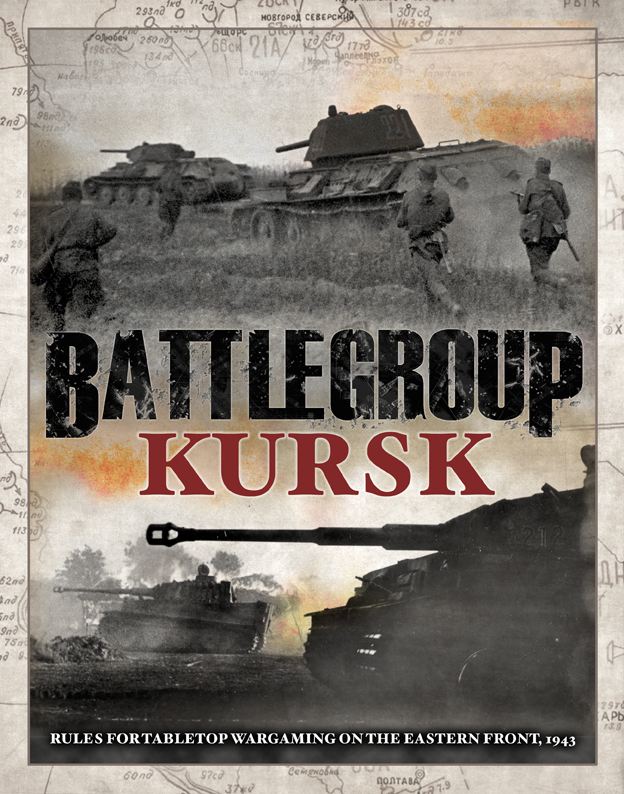 A brilliant looking game with a superb collection of Robbies ACW troops. 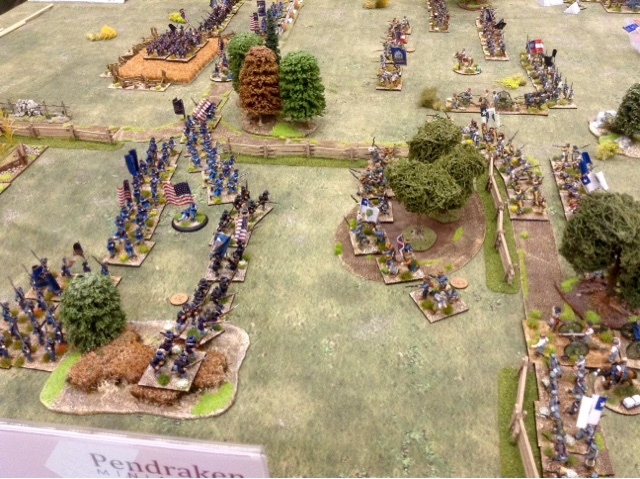 I would have stayed longer for a chat but my usual effect of influencing Robbies customary crap dice throwing prompted me to depart rapidly!! 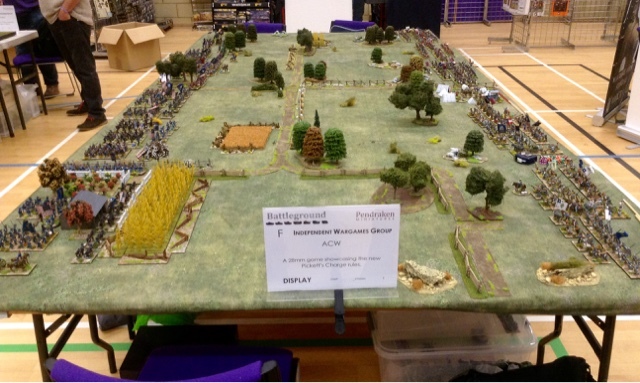 Well done lads for a great game at an outstanding show. 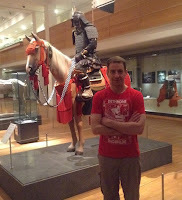 Thanks Neil for taking such brilliant images.I knew you had taking a couple, but I didnt realise you had so many. 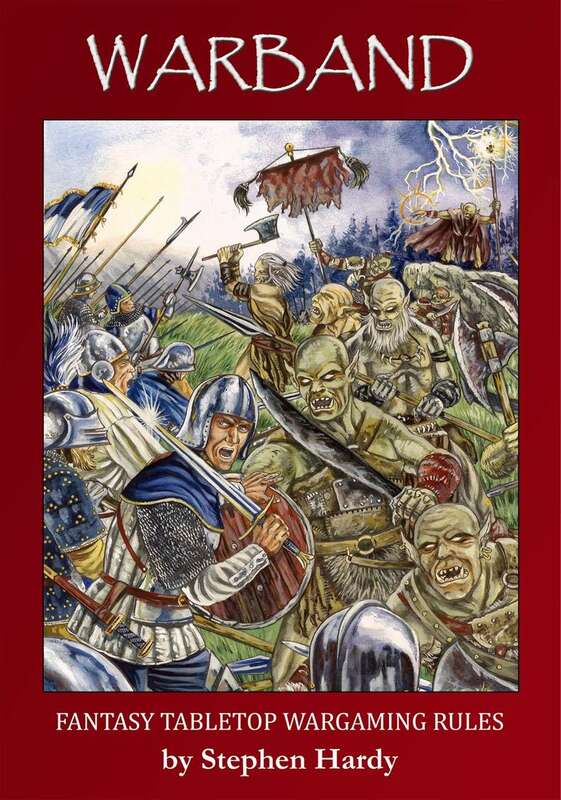 Thanks again for giving up your day, I know they are precious to you. 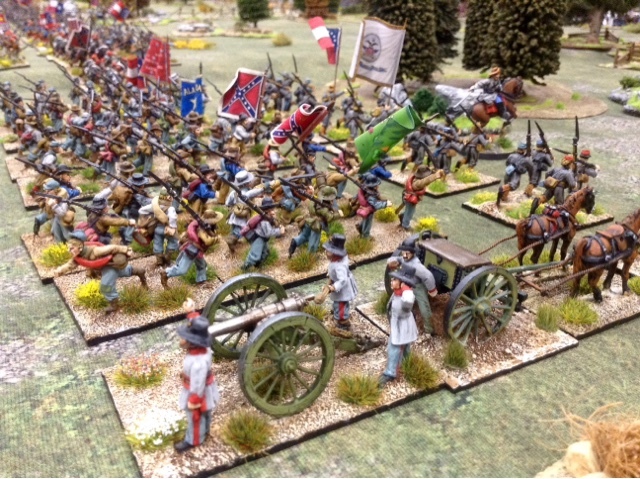 A fine looking game. 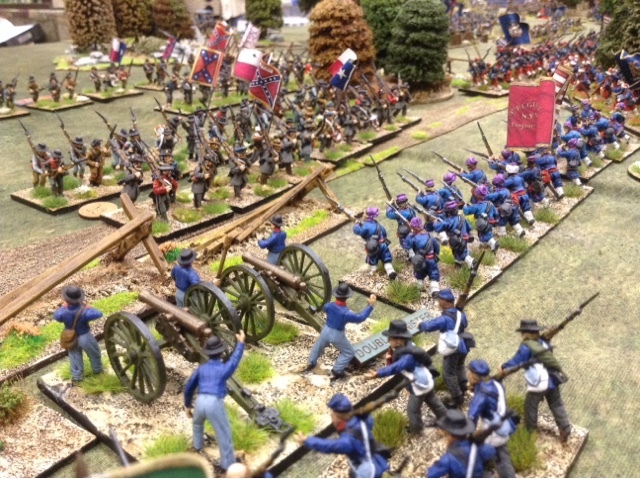 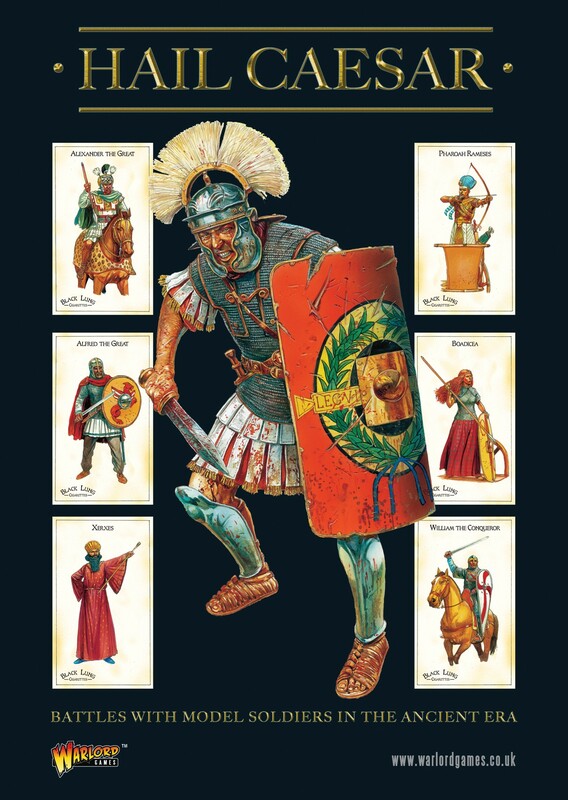 Nice to see the new armies in action.